Your friendly neighborhood superhero gets the right treatment in the form of this 6 inch Revoltech Spider-Man! 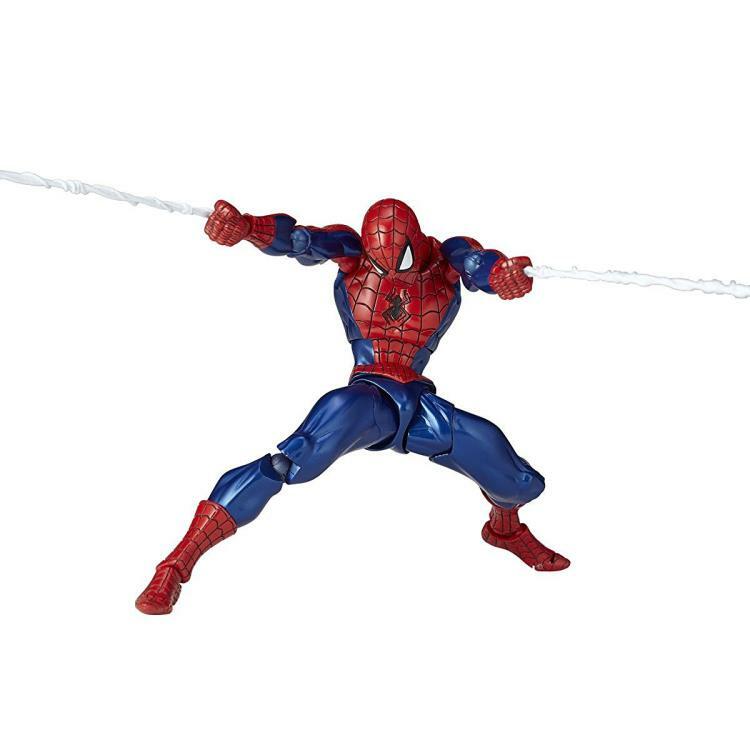 This Amazing Yamaguchi Spider-Man is about 6 inches tall and fully articulated, as befits any wall-crawling crime-fighter. He includes 6 interchangeable eye parts so you can vary his facial expressions, 6 interchangeable hands, webbing, and a clasp so you can attach him to a vertical surface! Can be attached to any vertical surface!